Three piece A+B+C 76 foot obstacle course. 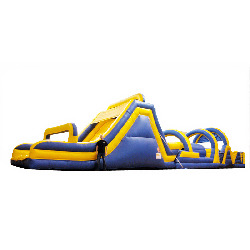 Our most popular teen and adult obstacle course. Enter on one side, exit on the other after going down the giant slide.